Finding the perfect handbag for you isn't just about the latest styles and trends. When shopping, you need to keep your body shape type in mind. Not every handbag is for every woman and the following tips will help you purchase a handbag that is not only stylish but perfect for your shape. Curvy or plus-size women should avoid slouchy, round bags. Look for bags with more structure. If you are plus-size, avoid very small bags which will make your body appear larger than it is. Bags that lay flatter to the body versus styles that are full will avoid extra bulk in the hip and thigh area. Women with slim body shapes need to be careful to not choose bags that are too big, wide or oversized. Avoid very boxy bags and choose styles that mold to the shape of the body instead of standing away from it. Watch the size of your tote bags and make sure they are not too large in size. Optically, width creates the look of shortness. If you are petite, avoid bags that are very wide. Instead, select a bag that is longer vertically to elongate the appearance of your torso. However, make sure that the bag isn't too long or hangs too low, as that will draw the eye down and make you look shorter. A shorter strap is better. Lastly, avoid oversized bags, which will only make you look shorter. Pear-shaped women that carry their weight in their hips and thighs should look for bags with shorter straps that hang high on the body. Avoid bags that hit at the hip, especially styles that are very slouchy and lack structure. Thick-waisted or top-heavy women should do the opposite of pear-shaped body types. These women should choose a handbag with a longer handle — avoid those that finish around the bustline or mid-section. A hip-length crossbody bag is a nice choice. 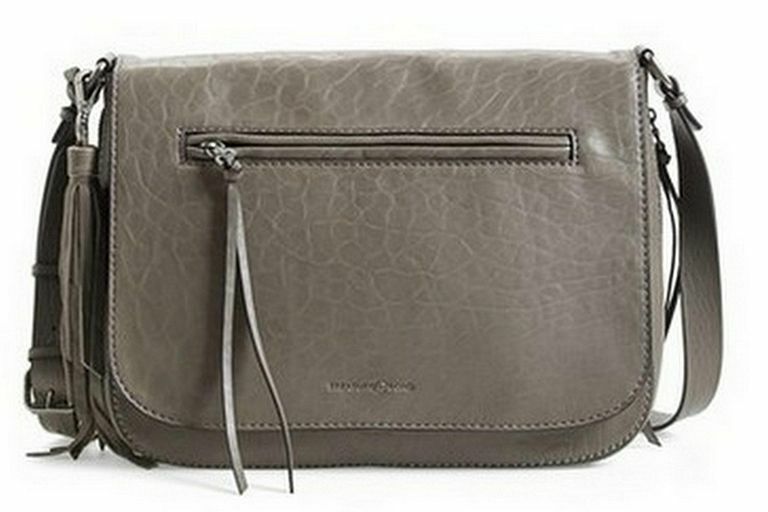 Crossbody bags are another great choice as the diagonal strap across the body creates a slimming effect across the waist. Of course, these tips should be seen as guides to consider. If you have a bag that you love and you enjoy carrying, use it. Certainly, some bags will be more flattering than others, but nothing replaces the great feeling you can get simply from toting a bag that you enjoy.